Since 1979, Allergy Research Group® has used only the purest raw materials available, and has implemented strict quality control procedures in every stage of production, including inspection of raw materials, manufacturing, packaging, and storing. ARG is licensed by the California Department of Health Services, Food and Drug Branch, registration number 55137 and US FDA registration number 19516500330. Our products are manufactured under FDA regulations at 21 CFR part 111 and comply with Dietary Supplement current Good Manufacturing Practices (cGMP). 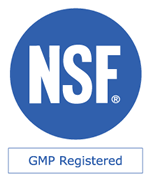 The GMP standards are applied to a wide variety of procedures associated with the manufacturing of dietary supplements, including receiving, testing, and approval of raw materials, production, and process controls, laboratory testing of labeled and packaged finished product, distribution control and accountability, and shelf life expiration testing to ensure freshness and potency. In addition to our in-house quality control department, we use certified independent analytical laboratories to test raw materials as well as finished products. All of our certified laboratories meet or exceed cGMP requirements. These labs include, but not limited to: Advanced Labs, Alkemist Labs, Aemtek, Avanti Polar Lipids, Covance, Chemical Solutions Ltd, ChromaDex, Craft Technologies, Eurofins, MicroQuality Labs, Venture Labs, etc. Our products are assayed for identity, purity and potency, and are confirmed to contain pre-determined amounts of the contents listed on every label. Microbial, pesticides/herbicides, aflatoxins, residual solvents, and heavy metals analysis are also conducted on all applicable products. We utilize a number of advanced methods of analysis, including high performance liquid chromatography (HPLC), IR and UV-VIS spectroscopy, capillary electrophoresis (CE), inductively coupled plasma-mass spectrometry (ICP-MS), atomic absorption (AA), thin layer chromatography (TLC), Fourier transform infrared spectroscopy (FTIR), DNA analysis, GMO-Testing, major food allergen testing, and radiation contamination testing along with biochemistry and wet chemistry techniques. Allergy Research Group uses only the purest and highest quality raw materials available. For example, we use only Nattokinase NSK-SD®, the first nattokinase introduced into the US market, which has established standardization and quality levels for all other nattokinase. Our S-Acetyl Glutathione is a novel oral glutathione formulation, and our Glandular products are derived from government-inspected, range-fed animals, raised in New Zealand and Australia under the strictest government regulations. Our Tocomin SupraBio Tocotrienol products are 100% non-GMO, non-soy, Kosher certified, and Halal certified, from a pure palm mixed tocotrienol complex, with a natural ratio of alpha, beta, gamma, and delta-tocotrienols, obtained using sustainable agriculture from a founding member of the Roundtable on Sustainable Palm Oil (RSPO).